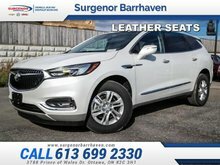 Leather Seats - Perforated, Technology Package, Trailering Package! This white frost SUV has an automatic transmission and is powered by a 3.6L V6 24V GDI DOHC engine. 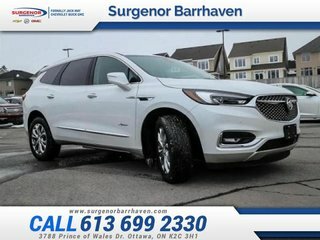 With that strong motor it gets 13.8 L/100 km in the city and 9.5 L/100 km out on the highway according to Transport Canada. 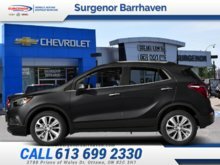 Our Enclave's trim level is Avenir. 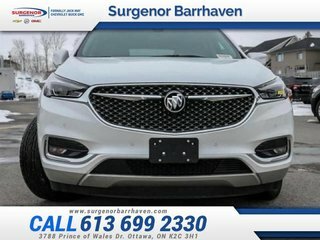 This Avenir Enclave adds all the best features for a modern luxury vehicle like navigation, sunroof, wireless charging, unique exterior styling and badging, unique two tone interior color with stitching and piping, Avenir embroidered interior accents, wood accented steering wheel, and 360 degree camera. 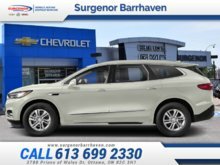 This SUV has is also equipped with vibrating safety alert seat, lane keep assist, front and rear parking assistance, front pedestrian braking, low speed automatic forward braking, forward collision alert, following distance indicator, IntelliBeam high beam assist, blind spot monitoring with lane change alert, an 8 inch touchscreen, Apple CarPlay and Android Auto, Siri Eyes Free and voice recognition, SiriusXM, Bluetooth, a Bose premium sound system, hands free power programmable liftgate, power folding side mirrors, heated power side mirrors with turn signals, and LED lighting. 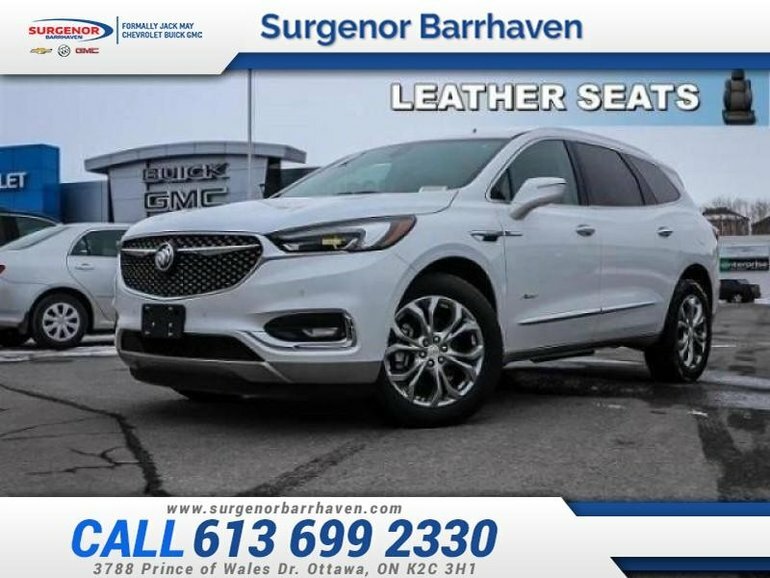 This vehicle has been upgraded with the following features: Leather Seats - Perforated, Technology Package, Trailering Package. 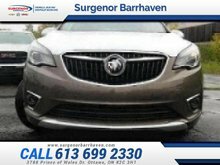 Interested in the 2019 Buick Enclave Avenir - $391.00 B/W ? $54,270 * Plus HST and licensing. Freight & Fees Included.